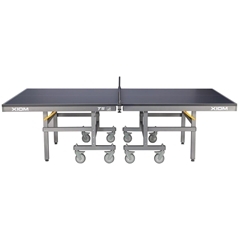 The XIOM T5 is the USA Equivalent of the Korean Champion Pro-9 - The best selling ping pong table in Korea. 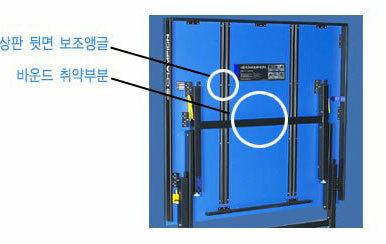 The XIOM T5 is the USA Equivalent of the Korean Champion Pro-9 - The best selling ping pong table in Korea. This table is currently in stock. Please call us for more information. 801-722-5680. The Xiom T5 is an outstanding professional table with a 25mm (one inch + top). Solid undercarriage, hard table top for crisp bounce. ITTF approved for international play. Rests on wheels allowing easy move. The Xiom T5 is the USA version of the Champion Pro-9. 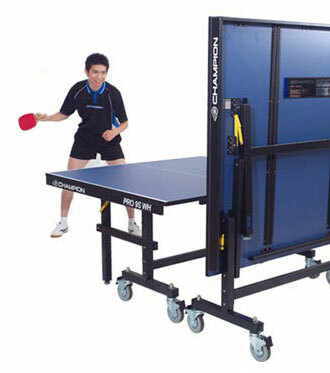 It is the best selling table tennis table in Korea. An Ideal club table, tournament table or table for the serious player. This table has a beautiful top and a crisp bounce. Interested in a Table Tennis Table? We sell to schools, recreation centers, corporations, and private homes and we can help you select the best one at the lowest price! Contact us at 801-722-5680 for a reduced shipping quote. This is an ITTF approved ping pong table. Use it for club play for personal practice. This table has space for wheel chair to go inside the table. Uniform bounce of the ball entirely on the table. 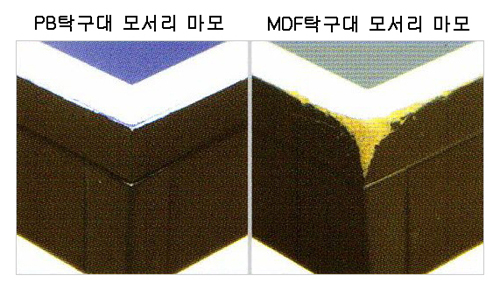 The CHAMPION brand is the leading table tennis brand in Korea. The Champion brand was founded in 1976. The CHAMPION brand became the sponsor of Asian Games in 1986, later they have become the sponsors of 1988 Olympics and 2002 Busan Asian games. The CHAMPION ping pong tables are being used in these world class tournaments. Ryu Seung Min of Korea ranked 8 in the world and the 2004 Olympic Champion is the official ambassador of CHAMPION. CHAMPION makes table tennis blades, table tennis balls, table tennis paddles, table tennis rackets, table tennis rubbers, table tennis apparels, ping pong tables and table tennis tables. The CHAMPION table tennis equipments and table tennis products are available in Korea and now in the United States Of America. You can read about CHAMPION table tennis products here.